SCLAA as an Industry Association delivers value to Member Supply Chain and Logistics (SCL) professionals and practitioners, and prosperity and competitive advantage to Australia through development of the profession and practice of SCL, collaboration with industry stakeholders and promotion and recognition of world’s best practice. This function is relevant to Defence, in particular the Materiel Logistics centres of expertise to provide information, networking, professional development (including certification programs), governance, career pathways to establish a collaborative supply chain and logistics interface. 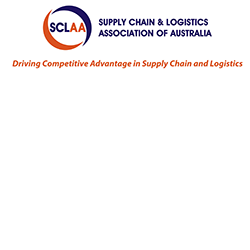 The Supply Chain and Logistics Association of Australia (SCLAA) is Australia’s largest association for Supply Chain and Logistics professionals and practitioners. We have over 5,500 members and industry contacts. The SCLAA has the proven history, governance framework, established representation, value for money and strategic reach to make it the right choice for you. We have hard working Committees in all states and territories, each led by Division (State) President. There are 2.1 million Companies in Australia and almost all have supply chain / logistics / procurement functions. SCLAA’s member organisations and member representatives drive a competitive advantage in Australia’s Supply Chain & Logistics is SCLAA's, in particular with the ACT/SNSW Division with Defence member representation.